Reference map showing IAU nomenclature, south-up, orthographic projection. 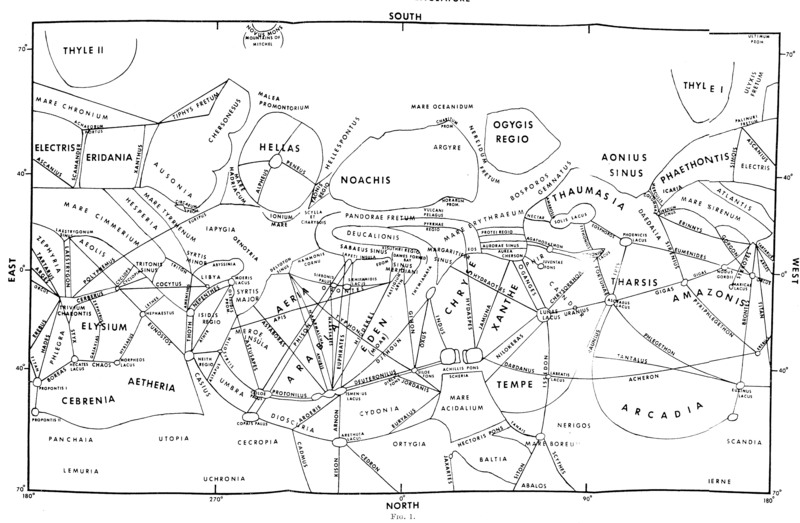 Arthur DWG, Agnieray AP, Horvath RA, Wood CA, Chapman CR 1963 The System of Lunar Craters, Quadrant I. 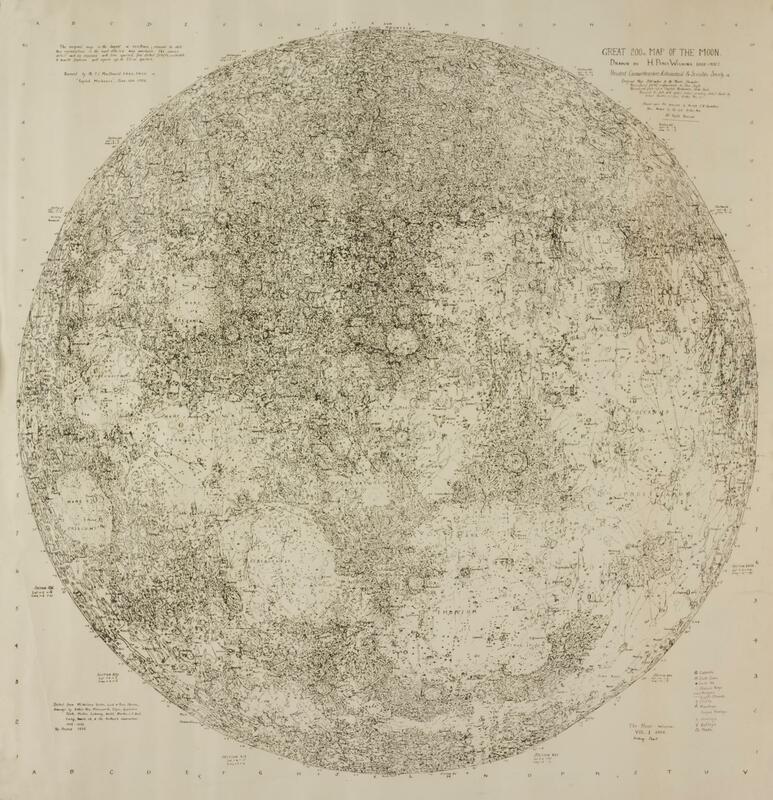 Communications of the Lunar and Planetary Laboratory, 2 (30). Editions: Early edition with hand lettering, later editions with sans serif and grid. 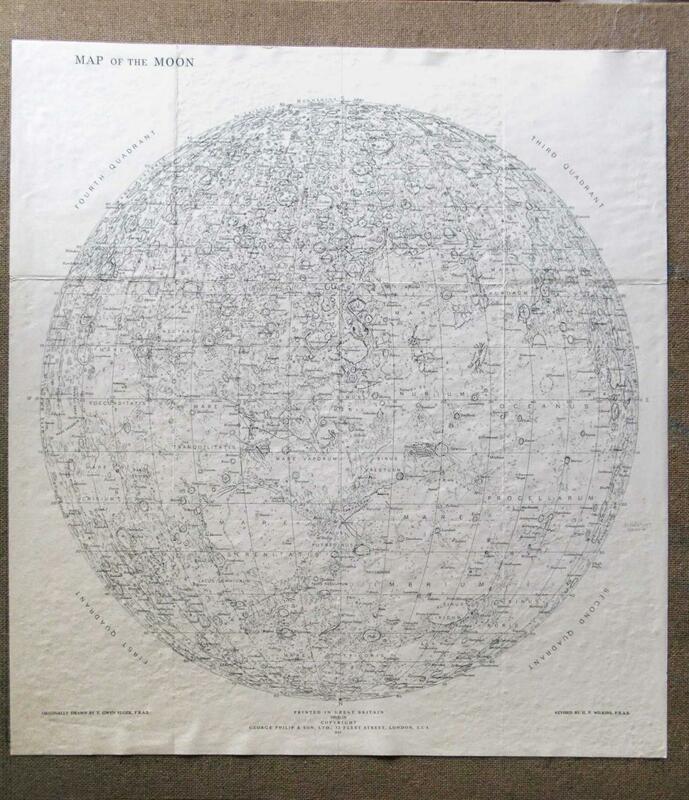 300 inch map of the Moon First edition, 1946. Third edition, 1951, revisions in 1952, 1954. 25 map sheets, Scale 21.6 miles per inch. Compiled from personal observations starting in 1909. 300-inch edition including polar and far side views. 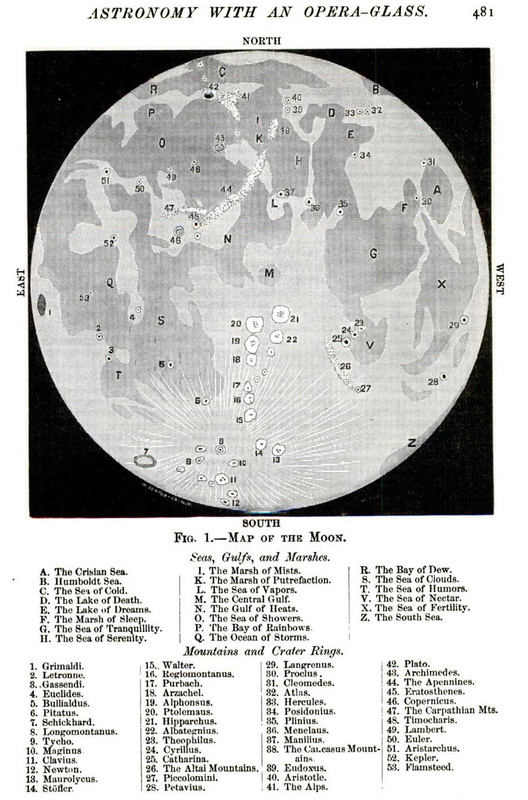 This image is compiled by H. Hargitai from the Strolling Astronomer publication (100 inch reduction). 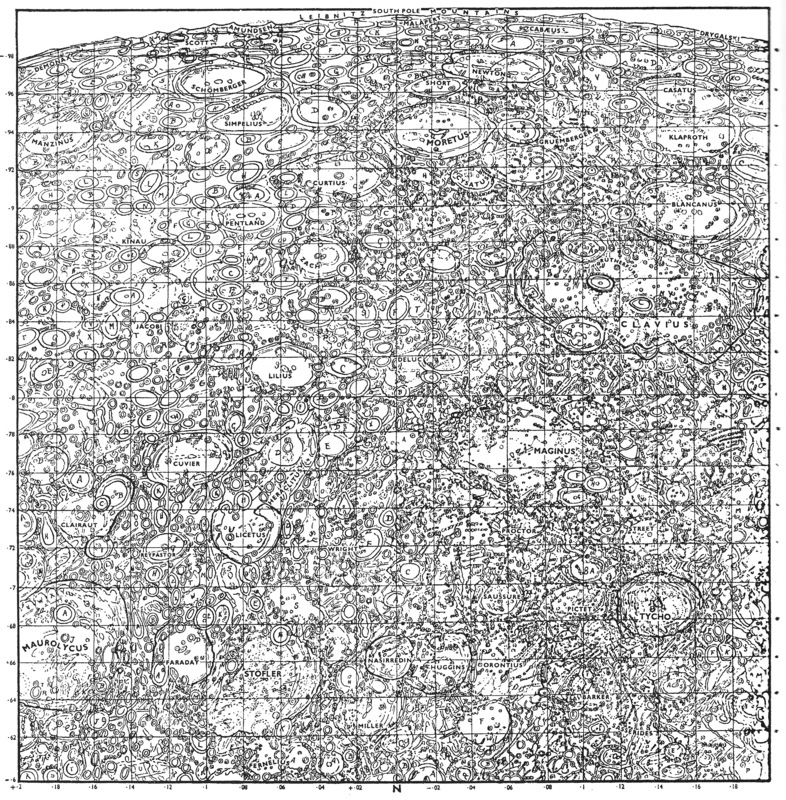 A single sheet from the 200-inch edition.